If you usually take your lunch to work, then you are familiar with the grind of the same daily turkey sandwich. 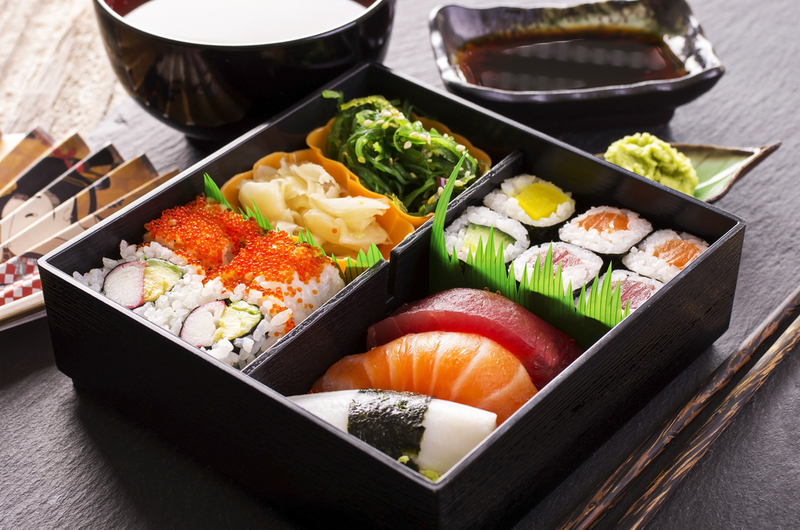 One of the newest lunchbox trends is straight from Japan, the bento box. You do not have to stick with traditional bento foods (rice with fish and vegetables). You can think outside of that box too! Personally, I love mine because I can pre-prepare them all on Sunday afternoons and it helps with portion control at the same time. They are also great for kids’ lunches if you pack for several people. I like to keep silicon baking cups (like for muffins or cupcakes) around so that I can keep things separated. I may not want my sandwich bread soaked in tomatoes all day so I can put them in the little cup and keep my bread dry. I also learned to make the most delicious dressing when I was researching bento meals. You can alter the ratio to taste but my mix is usually three parts medium taco sauce and one part fat-free Ranch. I despise the taste of fat-free Ranch but the taco sauce masks it and the Ranch make it nice a creamy without adding too may additional calories. Stay tuned for more specific recipes! This entry was posted in Diet and tagged BeautyFrizz, Bento Box, Bento Box Lunch Recipes, Bento Box Recipes, Bento Recipes, Easy Bento Box Lunch Recipes, Eat Well, food, Healthy Eating, Lunch, Lunch Recipes, recipes. What are the Recent Summer Makeup Trends? What are the Recent Summer Hair Trends?